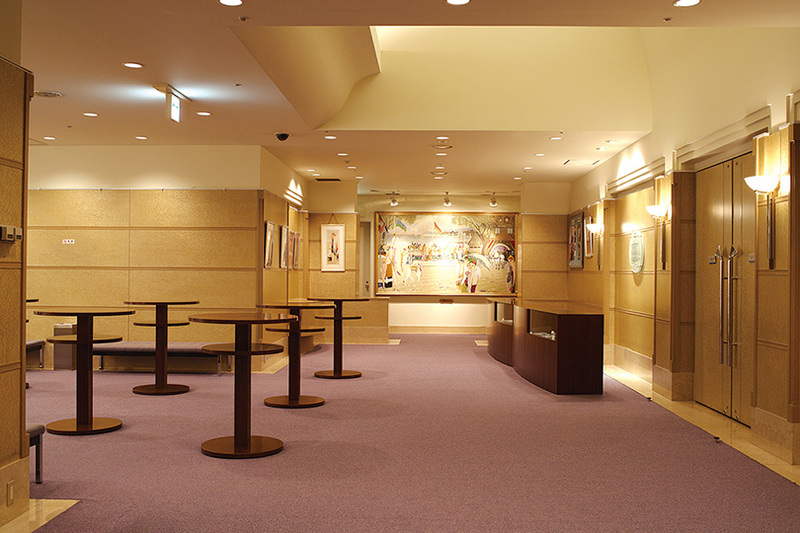 In October 1992, the Oji Paper Company built a concert hall within their headquarters in Ginza, at the heart of Tokyo. 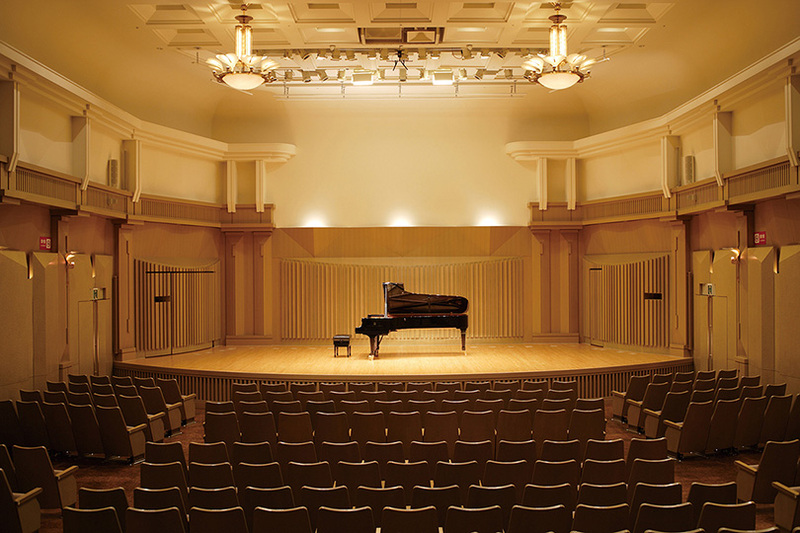 Oji Hall was built as a creative space that could bring artists and audiences together, making a meaningful contribution to the performing arts. 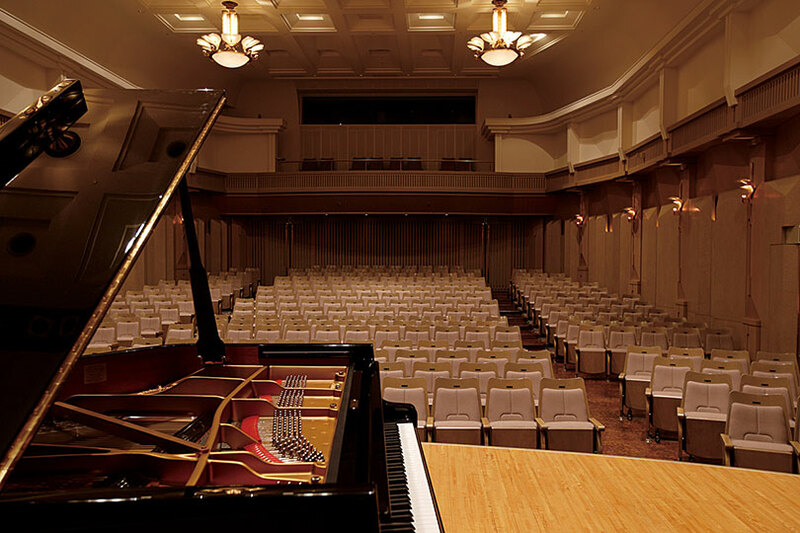 Primarily designed for chamber music and recitals, Oji Hall has hosted numerous prominent artists both from Japan and around the world. 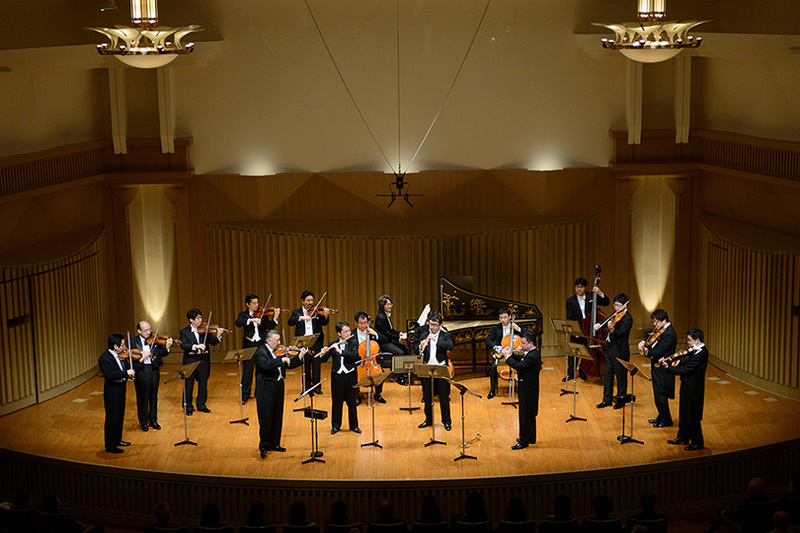 Earlier in 2018 the Oji Hall was briefly closed for renovations, and re-opened on October 25 with a Viennese waltz music by NHK Symphony Orchestra concertmaster Shinozaki “Maro” Fumino and colleagues. Upon entering the hall, visitors are greeted by a striking high ceiling and marble floors. It’s hard to miss the large-scale artwork on the left side of the lobby, a stunning wall installation, Mori no Uta (Songs of the Forest), made in 1991 of copper and earthenware by the renowned Japanese Bizen potter Fujiwara Yu. The spiral staircase leading up to the foyer and concert hall is adorned with paintings by French artist Ramon Dilley. But it’s the concert hall’s glorious interior that steals the show. Designed like a shoebox, the stage is made of wood, which contributes to a space that feels intimate yet seats a sizeable audience. This convivial atmosphere evokes the spirit of 19th-century Europe, extending to the lounge, where guests can enjoy food and drink at a reasonable price, while mingling and chatting with other guests. 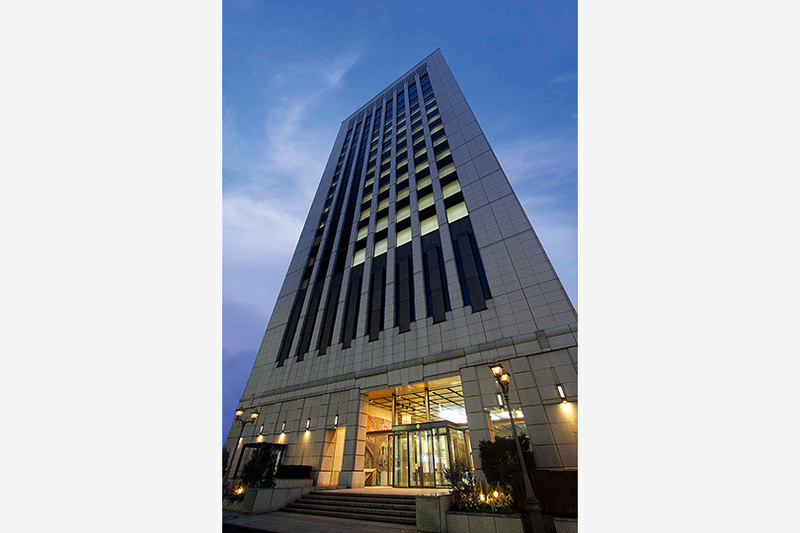 ・1 minute walk from Tokyo Metro "Ginza" Station #A12 Exit.